General Motors’ Detroit-Hamtramck Assembly plant, home of the Chevrolet Volt, will close for four weeks beginning in June for planned upgrades to prepare for a significant increase in the rate of Volt production, along with assembly of the 2013 Chevrolet Malibu midsize sedan. Already in tight supply, the number of Volts available for delivery to retail customers will be further restricted over the next three months before production resumes and the Volt and the Opel Ampera begin being exported to Europe and China. 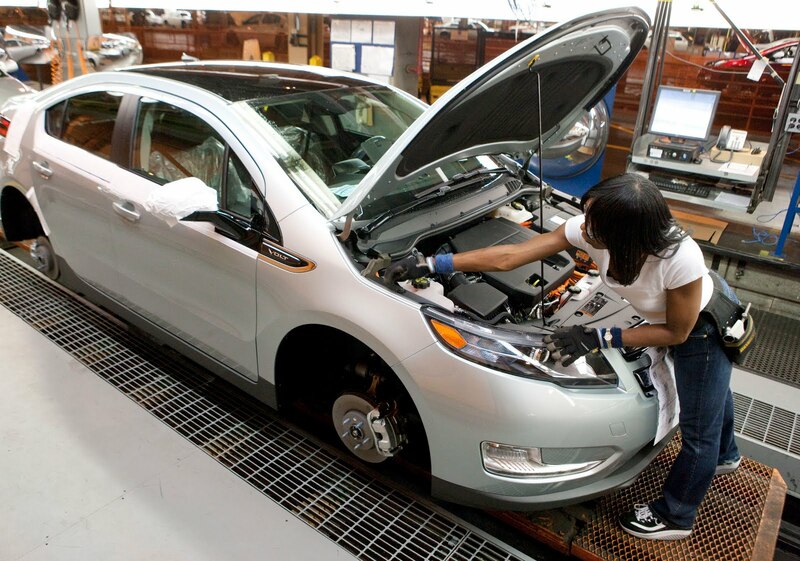 The 2011 Volt was launched in California, New York, Connecticut, Maryland, Michigan, New Jersey, New York, Texas, Virginia and Washington, D.C. The Volt will be available nationwide and in Europe, China and Canada by the end of this year. As a result of the plant upgrades, planned Volt and Ampera production capacity this year will increase to 16,000 units, including exports and a fleet of several hundred demonstration units sent to U.S. dealers. In 2012, global production capacity is expected to be 60,000 vehicles with an estimated 45,000 to be delivered in the United States. During the four-week shutdown the plant will complete some pre-scheduled upgrades, including the installation of new tools, equipment and overhead conveyor systems throughout the facility. This will prepare the plant for 2012 Volt and Ampera production and continue work on projects in preparation to launch the 2013 Malibu next year. Coupled with already low dealer inventories and strong demand, the suspension of production, will result in limited availability and reduced sales in June and July. The Volt is an electric vehicle that offers a total driving range of 379 miles, based on EPA estimates. For the first 35 miles, the Volt can drive gas- and tailpipe-free using a full charge of electricity stored in its 16-kWh lithium-ion battery. When the Volt’s battery runs low, a gas-powered engine/generator seamlessly operates to extend the driving range another 344 miles on a full change. Production of the all-new 2013 Chevrolet Malibu will begin next year. Building on Chevrolet’s reputation of providing the most fuel-efficient passenger cars, the 2013 Malibu launch will be led by the Eco model, expected to achieve 38 miles per gallon on the highway.